MONROE, La. 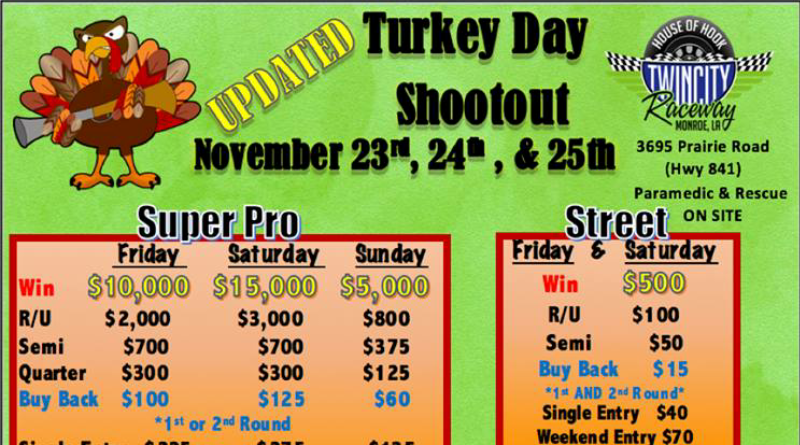 – Big money bracket racing comes to Twin City Raceway on Thanksgiving weekend with three days of bracket racing in Super Pro, Pro, Street, and Jr. Dragster. Super Pro competitors will be competing for $10,000 on Friday, $15,000 on Saturday, and $5,000 on Sunday. See full event details on the event flyer posted below.